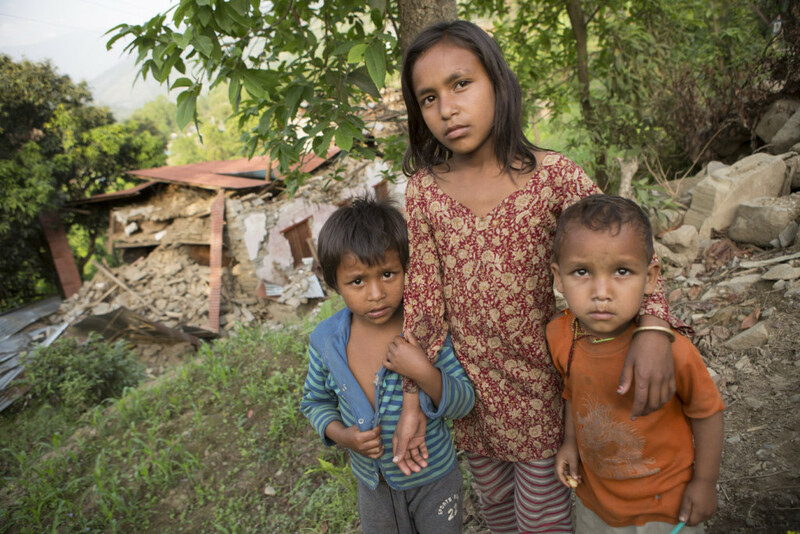 Three days after the earthquake struck in Nepal, Jake accompanied ChildFund’s emergency relief team as they delivered supplies to devastated communities. 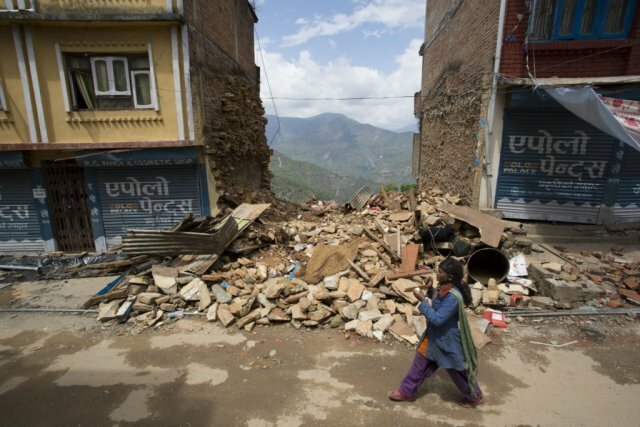 Below, Jake shares his personal recollections along with his images..
Parts of Nepal are devastated. I say parts because I expected my plane to land in a rubble-piled waste land; it didn’t. There was a runway, an immigration officer, and a functioning baggage carousel. Kathmandu’s ancient temples, however, are in ruins. Many multi-storied buildings have toppled down. But the capital city, still in shock, manages to keep pace at least somewhat. I still have the bandwidth to make this blog post, after all. Upon exiting the Kathmandu valley, things become steadily worse. Driving north-east into Sindhupalchok District, paradoxically away from the epicentre of the earthquake, homes are flattened and people sit in uncertainty on the side of the highway, while others comb through the wreckage of their former dwellings, searching for food or possessions. I begin to experience a sense that I never have before – an eerie sixth sense that comes from gaping at mountain grandeur and pristine rivers, blanketed by piles of debris and the stench of bodies. Death seems nearer to me than ever before. After a long journey, I arrive with ChildFund staff at one of their food distribution points. As the car comes to a stop, ChildFund emergency worker Aileen, the woman who has been sitting next to me since we left Kathmandu, bolts out of the vehicle to meet a woman she recognises (pictured above). It’s clear that they haven’t seen one another since before the quake hit. Without a word, they embrace as grief paints their faces and the tears come, expressing what I’d been meaning to all along but couldn’t quite put into words. 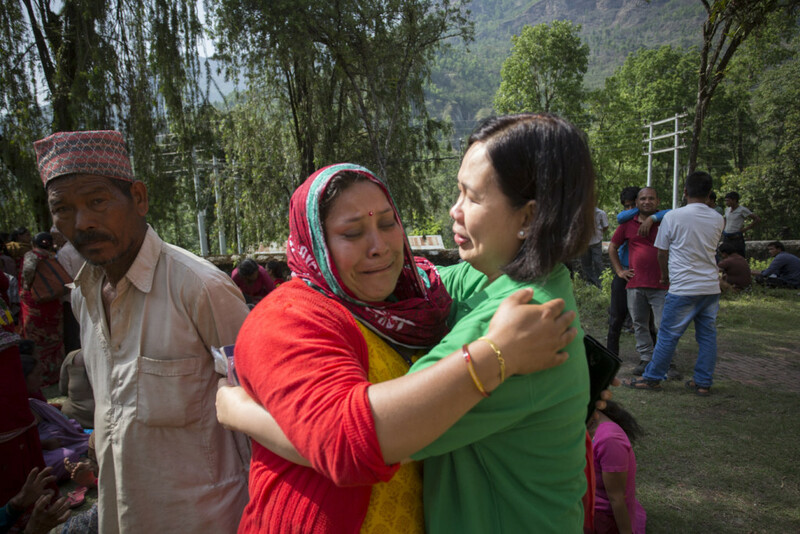 Assistance is arriving to Nepal’s hardest-hit communities. Despite what you may have read, it’s not all held up at roadblocks or customs. ChildFund and other organisations are contributing to the relief effort, and I can attest first-hand to the blessings a contribution towards that work brings. There’s good news to come; but for now, a moment to grieve.